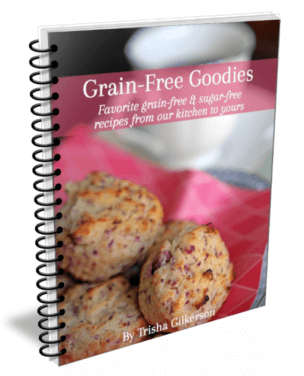 High fructose corn syrup isn’t likely something you’ll be sweetening your homemade cookies with, so why is it included in this series about sweeteners? 2. 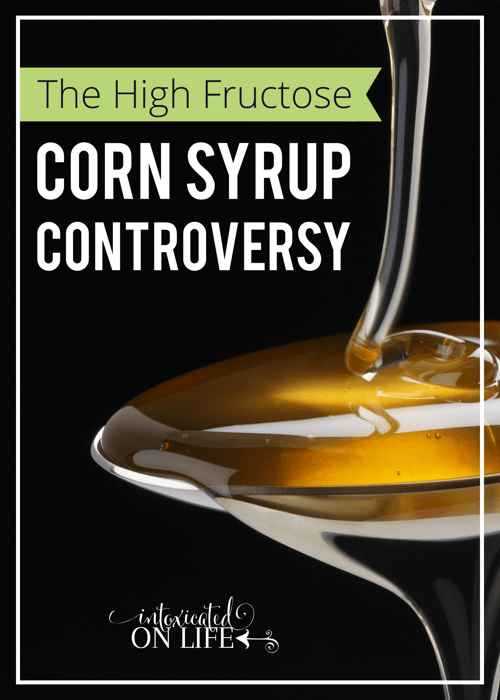 There is much controversy surrounding high fructose corn syrup’s healthfulness or lack thereof. Some purport that high fructose corn syrup is virtually identical to sugar (which isn’t saying much since sugar is wrought with problems), whereas others claim it comes with it’s own set of problems (in addition to those sugar brings to the table). What’s the truth? What does the research say? Before we plunge into the debate surrounding high fructose corn syrup, we need a short chemistry lesson on the component parts of sugar. This is key to understanding how sugar, high fructose corn syrup, and other sweeteners impact our bodies on a cellular level. Glucose is rapidly used by our bodies as a source of energy. 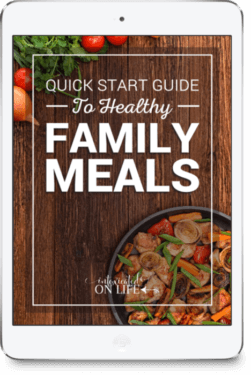 It quickly raises blood sugar levels (bad) and results in increased insulin levels (also bad). 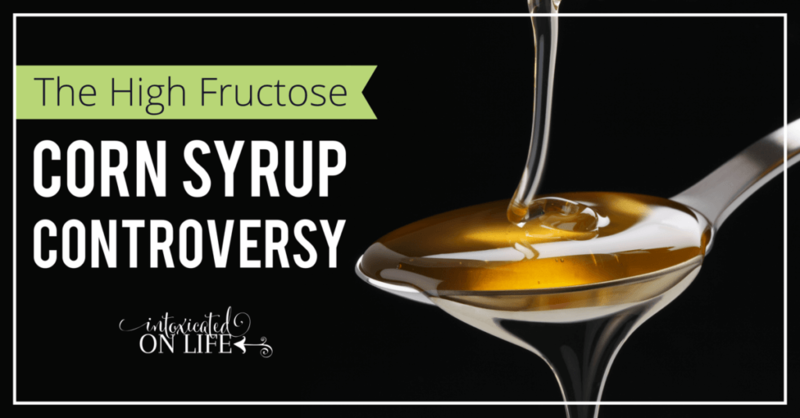 On the other hand, fructose is metabolized primarily by the liver. Because of this fructose doesn’t cause insulin and leptin (a hormone responsible for turning hunger off) to be secreted like glucose does. At first blush, you may think that’s a good thing. Fructose doesn’t cause insulin spikes, which is good because high insulin levels are bad, right? Perpetually high insulin levels can eventually lead to insulin resistance and diabetes, right? Yes, that is true. But fructose also inhibits the release of leptin. When leptin increases after eating or drinking, it helps your body to realize it is full and decreases your appetite. When this doesn’t happen, portion sizes increase, and we continue to eat/drink because the hormones responsible for telling our brain that we are full, simply aren’t switched on! So, now that our chemistry lesson is done we need to get back to high fructose corn syrup. There seems to be a lot of misunderstanding surrounding high fructose corn syrup. Is it basically the same as sugar? Is it natural? Can it cause health problems? Is it high in fructose (as the name suggests)? What is the big deal with high fructose corn syrup anyways?! As mentioned earlier, high fructose corn syrup is insidious—it’s founds in most pre-packaged foods. 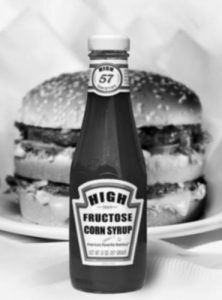 In 1970 americans consumed an average of 1/2 pound of high fructose corn syrup per year. Compare that with our 2010 average of 43.5 pounds per year! If our nation is consuming this gargantuan amount of high fructose corn syrup, it certainly behooves us to know what it is we’re putting in our bodies and the impact it has on us. The corn refiners association has put out a website to set the world straight on high fructose corn syrup, many of their claims seem to, we’ll just say, stretch the truth. 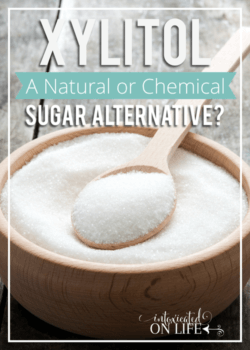 One of their main claim’s is that high fructose corn syrup is not any different from sugar (which isn’t saying much considering all of the health problems sugar can cause!). They seem to indicate that the difference in fructose content between sugar and high fructose corn syrup is negligible and that there is nothing more to worry about. But, I would argue that high fructose corn syrup is indeed different and a greater threat to our health than sugar. Is High Fructose Corn Syrup Nutritionally Equivalent to Sugar? Prior to reviewing the Corn Refiners Association’s claims, I think it’s important to note a few things. First, throughout their website there are 6 primary studies that are referenced. These studies are used to promote the idea that high fructose corn syrup and sugar are nutritonally equivalent. The interesting thing is: 3 of the studies were sponsored by a group that stands to profit from research which promotes high fructose corn syrup, 2 of the studies were never published, and 1 was sponsored by a Dutch foundation that represents interests in the sugar industry. The second red flag that I’ve noticed on the corn refiner association’s website is that they have quoted David S. Ludwig, M.D., Ph.D., Associate Professor of Pediatrics, Harvard Medical School. Apparently, Dr. Ludwig has reportedly indicated that the things he said were taken out of context and that he does not support the corn industry. It has been publicized that high fructose corn syrup is made up of just 55% fructose and 45% glucose – contrasted with table sugar’s 50% fructose and 50% glucose that doesn’t seem so bad. It’s just a 5% increase in fructose over that of table sugar. Unfortunately, this isn’t always true though. An independent lab (ie. one not sponsored by the corn refiners association) found that in several major brands of soft drinks the fructose content was 65% (15% higher than what is in table sugar)! Others estimate that there may be as much as 30% more fructose in some foods and beverages containing HFCS, but we don’t know because manufactures are not required to disclose this information to us. So, 5% might not seem like a big difference, but 15% is, and 30% more fructose is definitely a big deal. Technically, I suppose this is correct. They eek in under the “natural” standards set forth by the USDA (but is that really saying anything?). 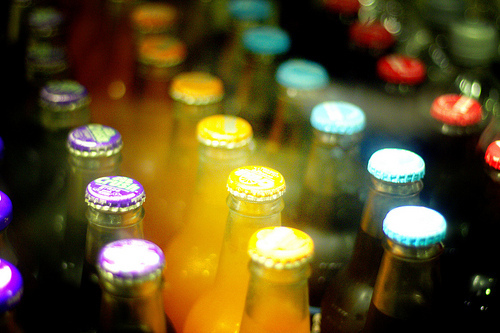 It may be natural, but high fructose corn syrup is a highly refined product. It goes through a multi-step process whereby caustic soda, among other chemicals, are used to make this sugary syrup. Caustic soda can be contaminated with mercury which can then contaminates the high fructose corn syrup, and then transfers to the foods you are ingesting. Almost half of the high fructose corn syrup tested was contaminated with mercury in one study. As indicated above, fructose consumption itself has been linked to problems like obesity and diabetes and high fructose corn syrup is higher in fructose than sugar…and it appears that in some cases it’s much higher in fructose than sugar. Is it any wonder than there have been studies linking high fructose corn syrup consumption with diabetes? I don’t use it. Or, at least I try to avoid it as much as I can. 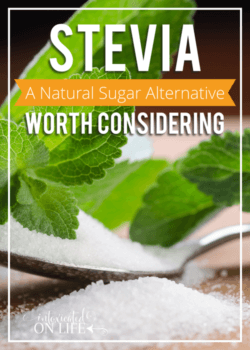 I make my own yogurt and sweeten it with stevia. We’ve stopped purchasing store bough snacks, breads, crackers, cookies, fruit juices, protein bars, and pretty much all processed foods so we don’t have to worry too much about high fructose corn syrup. 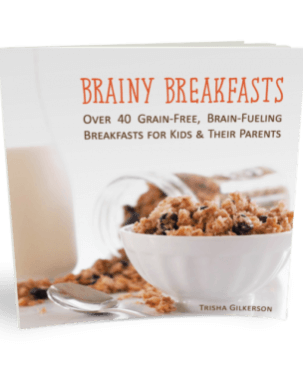 My kids do get an occasional treat when they are with friends or family, and I’m not going to lose any sleep over that amount of high fructose corn syrup in their diet, but I don’t intend on making it a regular part of our diet. Even if high fructose corn syrup doesn’t present any more health problems than that of sugar (which is doubtful), sugar has given us enough problems that I can’t see any reason to include it in our pantry. I can guarantee any foods that contain high fructose corn syrup will be poor quality and nutrient poor. There is a lot out there and it takes a lot of time to wade through it all! I’m loving this series! And you’re right, HFCS definitely deserves a spot in this series. We’ve cut it out completely (or as much as we can) by doing much of what you’re doing as well – just stop buying boxed, packaged processed foods. 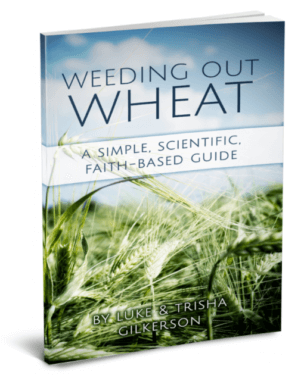 Thanks for all the helpful information; this is a great resource! This is the one ingredient we’ve cut out completely, but I bet it still finds it’s way into our diets somewhere. It’s so hard to avoid!! I don’t buy Corn syrup and I skip over recipes that call for it! One thing to consider too is that most corn is chalk full of GMOs, which means that corn syrup is pumped full of them! 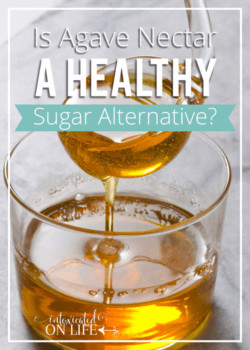 I will stick to regular sugar when needed, but will also use honey and agave. Thanks for sharing! That’s so true! GMO’s could take up a whole other post…or two..or three. Corn is one of the worst for sure. I had originally planned on touching on that in this post, but as you can see the post had already gotten a little bit ridiculously long so that was one of the several things that got axed in the final cut! We have been avoiding anything with HFCS for years. As a nurse it saddens me that it is in all the low-cost food that families in need have to feed their families, causing childhood obesity. You have a good point. Very unfortunate that lower income families have their pantries filled with this stuff. It does cost more to eat healthy, but in the end it will cost less when you factor in medical bills. Thanks for sharing this very important info! Pinned! Wow that is really good to know especially since it is in almost EVERYTHING at the store! Makes me want to eat even healthier. Great entry as sugar is something we all need to look at a little closer…all types.